Offering a premier level of personalized real estate service with a consistent focus on what's best for her clients, Janet Gothard is based in the Willis Allen Rancho Santa Fe office and specializes in properties throughout North San Diego County. "Integrity, honesty and optimism are the qualities that I base my business on," says Janet, a Certified Negotiation Specialist who obtained her real estate license in 1985. "My focus is always on what's best for my clients and working to create value for them in their real estate transactions." 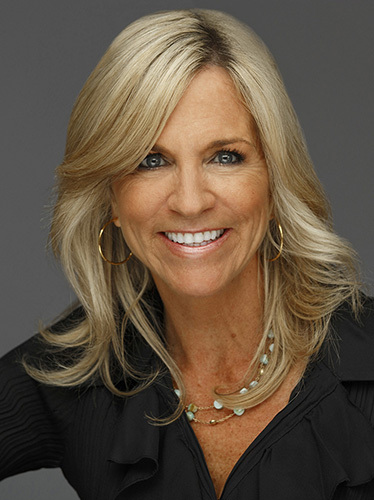 Born in San Diego and raised in a family of Realtors, Janet's passion for real estate began at the age of 16, when she began working at her family's brokerage firm, Unique Homes, a chain of boutique offices throughout Newport Beach and Corona del Mar. Janet's formal training in Home Staging and Feng Shui has proven to be a valuable asset in serving her clients. In addition to utilizing her expertise to provide recommendations to sellers as to how they can enhance their property's appeal to expedite a sale, she also uses her knowledge to guide buyers in selecting their next home. "I look forward to every day in this business," says Janet, who is known for her dedication and positive attitude. "There is nothing more rewarding than providing my clients with value that is above and beyond their expectations." Call Janet today to assist you in any of your real estate needs at (858) 335-8110.